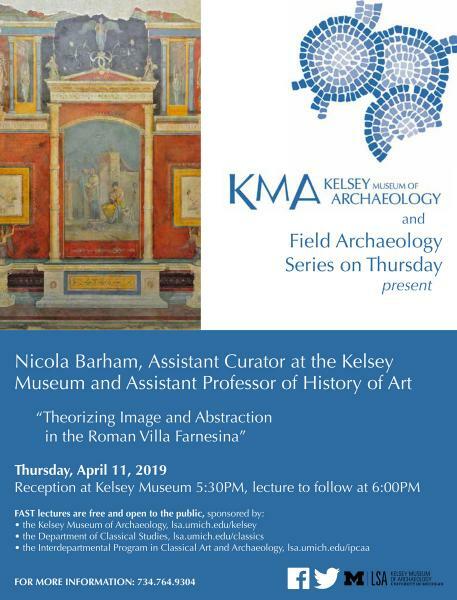 Reception at the Kelsey Museum at 5:30 p.m., lecture to follow at 6:00 p.m. If you are a person with a disability who requires an accommodation to attend this lecture, please contact the education office (734-647-4167) at least two weeks in advance. We ask for advance notice as some accommodations may require more time for the university to arrange.